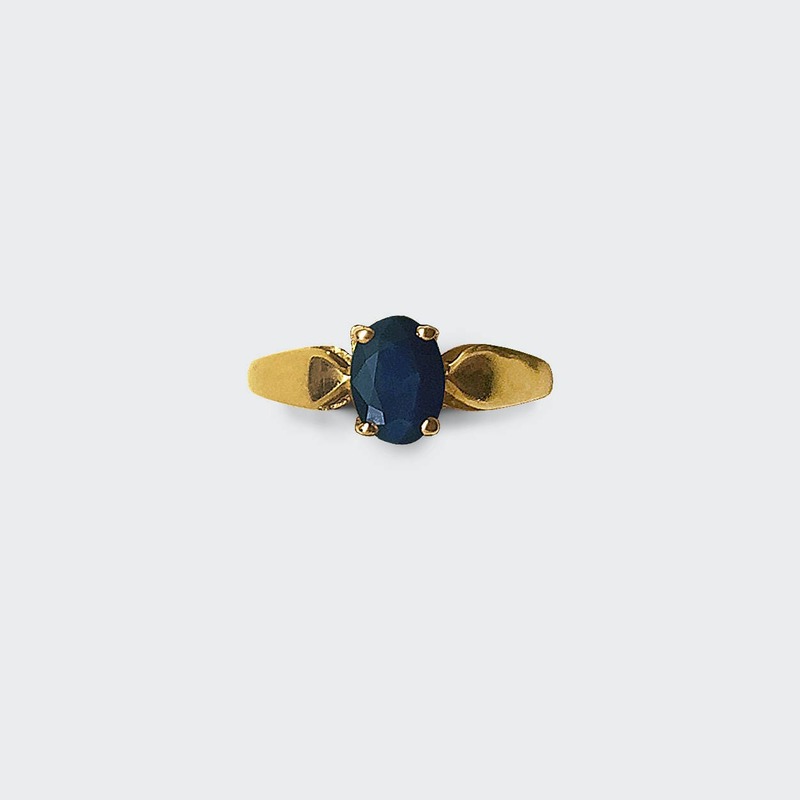 This 14K yellow gold understated ring is prong set with an oval faceted dark blue sapphire which weighs approximately 81/100 carat. 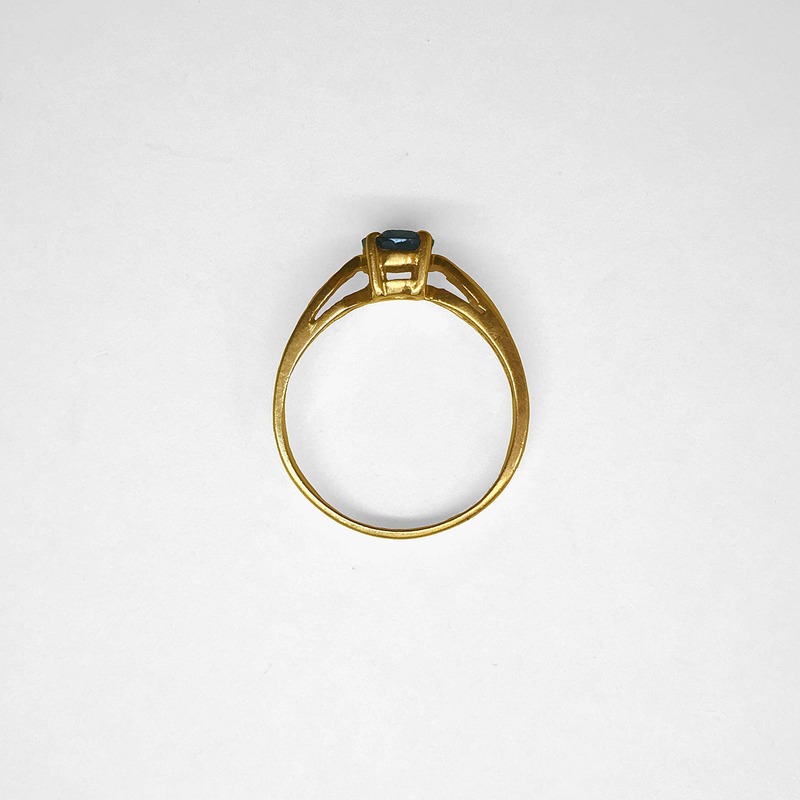 This solitaire ring is circa 1970's and is stamped 14K on the inside of the shank (next to the manufacturer's stamp which is in the motif of a cross-section of a diamond centered with the letter "F"). The shank of the ring gives it a deco-like feel. 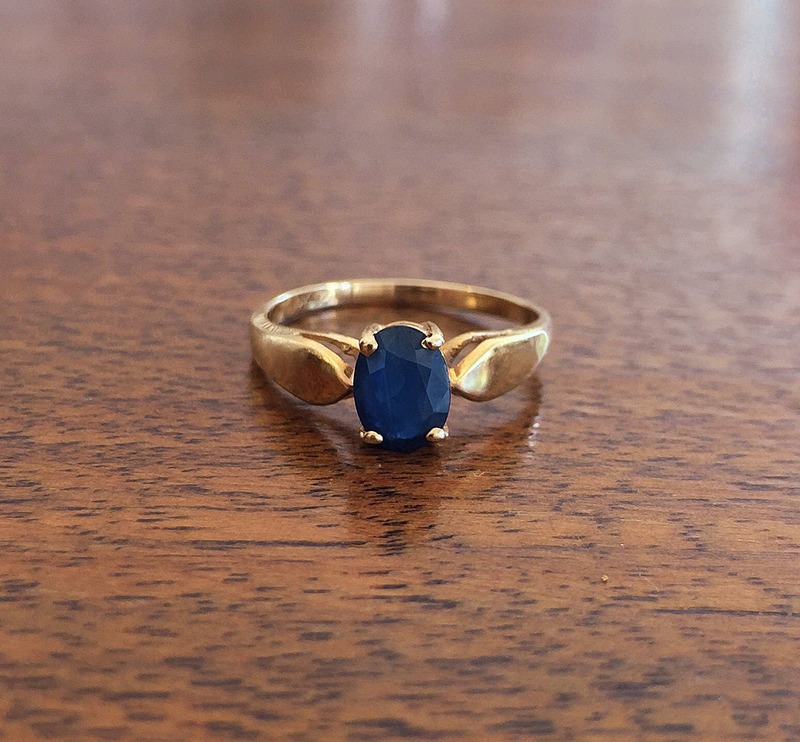 In excellent condition with no abrasion or scratching on the ring or sapphire... pristine condition! The ring is currently a size 6 but could be sized easily to fit your finger.